Ibiza, also known as the White Island welcomes you to celebrate the most important day of your life with family and friends. Can Gall is surrounded by mother nature, fruit trees and mountains. Our hotel is situated in a 300 year old farm house anointed with all the services you need to make your day special. We have been open since 2004 and involved in events and weddings, and we have a vast experience and we offer an unbeatable service in planning your wedding from start to finish to make your day stress free and perfect. 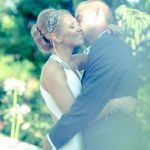 Getting married overseas is now very popular and short-haul nuptial locations such as Ibiza offer the added advantage of being closer and more economical to reach, thus allowing many of your relatives and friends to join in the celebrations. An overseas wedding also holds an exotic character which will fill your photograph album with sun-kissed memories of beaches and clear blue seas. And, just as importantly, getting married abroad is truly easy and relatively quick to organise - none of the stress and inconvenience of having to pre-book your venue a year in advance as imposed by local locations. At Can Gall we cater for ALL weddings. We have an Equality belief in marriage and cater for EVERY couple irrespective of there religious belief, gender, background. We truly believe that YOUR wedding is about YOU BOTH and we aim to deliver you the perfect day accordingly. But, perhaps the main factor that sways so many couples to marry abroad is that it is considerably cheaper. Whatever your reason for choosing to have your big day overseas, we know you’ll want it to be different from the norm and we look forward to listening to every request you may have to realise your perfect day. As we guide you every step of the way, we guarantee we shall do our utmost to make it totally stress-free for you to just relax until it’s time to savour the tailormade wedding of your dreams. Let’s make today the start of the countdown to your very important day and please trust us to undertake the planning and organisation of your marriage as seriously as you are preparing to take your vows. We very much look forward to helping you enjoy the best day of your life. The comfortable feeling of home and the luxury of holiday for your wedding. Our Luxury Hotel Rooms are built for your comfort. Rooms provide one King or one Queen or two Queens with some rooms providing extra sitting rooms and sofa beds. The communal areas are perfect to entertain your guests on your big day as well as throughout your stay - From our restaurant, to the chill out area, the pergola to the pool or the pool bar to the extensive gardens. Our Wedding offering can cater for you and all of your guests throughout your visit. From family meals the night before, breakfast on your big day, the Wedding celebration canapés and feast, and even BBQ's and pool party's for the day after... Our Chef and team have you covered. In the heart of the north of Ibiza. Have some guests stay at our Villa? We also run a villa in San Rafael called Can Fita. If you're after some more privacy for you, guests or your family, before, during or after your wedding, why not give the villa a go. We can also offer some of the hotel services in the villa... just let us know.